Fort Nelson. Population 5,900. Fort Nelson is a thriving community with an economy historically based on forestry, oil & gas, and an emerging tourism sector. Old Alcan Highway loop road rejoins the Alaska Highway at km 468. Also access to Poplar Hills Golf Course – 9 holes, driving range, open daily. Old Alcan Highway loop road rejoins the Alaska Highway at km 458. Also access to Poplar Hills Golf Course – 9 holes, driving range, open daily. Highway 77 Junction, Liard Highway to Fort Liard and the Mackenzie Highway to Fort Simpson. It is a good gravel highway. The highway was officially opened in June of 1984. 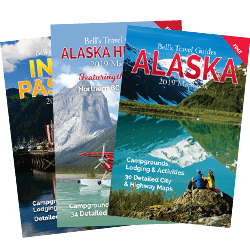 Check current road conditions at the Visitor Info Centers in Fort Nelson BC or Fort Simpson, NWT. Gas is limited with facilities at Fort Liard at 170 km/105 miles and at 394 km/245 mile junction of MacKenzie Highway. Parking with view of Muskwa River Valley. Steamboat Mountain Summit. 3,500 ft. Rest area, toilets. Parking off highway with large turn around area. Teetering Rock hiking Trail. Tetsa River Regional Park, 2 km side road. 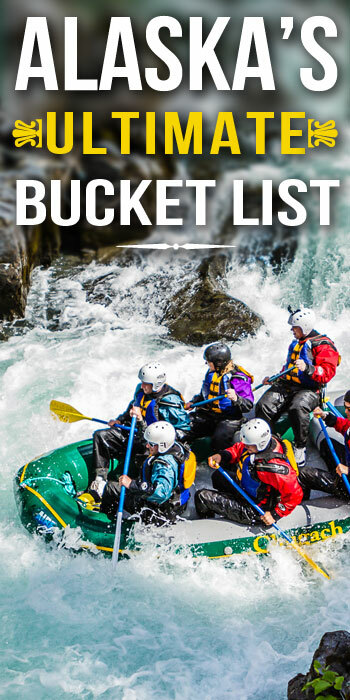 25 sites, water, toilets and firewood. Fishing for grayling & Dolly Varden, in the Tetsa River. Fee area. Parking. Tetsa River Bridge #1. Tetsa #1 Trailhead. Parking, access to Wokkpash Creek hiking trail, 15 km to Wokkpash Lake. 115 Creek, wayside and rest area, tables, toilets, no drinking water. Racing River, parking at south end of bridge. Fishing for grayling and Dolly Varden. 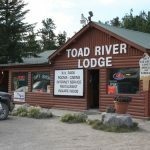 Toad River Lodge (HM 422). Parking beside Toad River. Information sign on flash floods. Toad River bridge. There are several small parking areas along this section of highway. Peterson Creek named for Pete Peterson, a local trapper and big game guide, who came to the area in 1933. Pete Petersen was one of the few early white residents of the Muncho lake area and was instrumental in helping to refine the proposed route for the Army Core of Engineers. His story is mostly undocumented but he was a very well known trapper, guide and explorer. Many of the local landmarks bear his name such as Mt. Petersen overlooking Muncho Lake and Petersen Creek. Large Parking area with view of Sawtooth Mountains. Muncho Lake. Accommodations, gas, campgrounds, groceries, boats and motors, fishing tackle all found along 7-mile section of road that skirts shoreline. Lake trout, whitefish, grayling and burbot. June is the best month for trolling with red and white spoons. Fishing is good near the small island at north end of lake. Stone sheep, goats, moose, caribou and grizzlies abound in area. There are many small parking areas alongside Muncho Lake. Strawberry Flats Campground. 15 camp sites on the shore of Muncho Lake, tables, toilets. Fee area. Rest area, stop of interest, information panels, wildlife viewing. MacDonald Campground. 15 camp sites on the shore of Muncho Lake, water, toilets. Fee area. 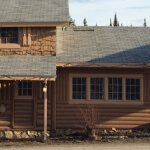 Muncho Lake RV Park (HM 463). Viewpoint of Muncho Lake. Litter barrel. Information signs on the Muncho Lake and Alaska Highway Construction. Historic Mile Marker 463. Hiking. There is a good chance you will see stone sheep in this area. Numerous natural mineral licks are found in the gullies near the highway. Parking, park information, litter barrels. Brake check. Trout River Bridge. Grayling, whitefish. Flies and small spinners are best. Parking by Trout River. There are several small parking areas between here and km 750. Prochniak Creek. There is a trail to the west which leads to the high alpine. Lower Liard River Bridge. This major northern river drains the eastern slopes of the Rocky Mountains and flows across the northern plain of British Columbia to empty into the Mackenzie River. The Liard, the Peace and Athabasca rivers, were natural water highway for the Fur Traders. Liard River Hot Springs Provincial Park, water, toilets, firewood and day-use area. Natural hot springs, bathing pools, change houses at both pools, boardwalk connecting both pools, amphitheater, playground, horseshoe pits, wheelchair accessible. Enjoy a walk along the boardwalk to the mineral pools. This is a very busy park during the summer. Visitors are warned to watch for signs of bear and please don’t leave food out. Smith River, large parking areas at both ends of bridge. Grayling, Dolly Varden. Smith River Falls, 1.5 mile gravel side road leads to viewpoint overlooking Smith River Falls. There is a good 1/4 mile trail to base of falls. Good turnaround area but will be tight if you are towing. Large parking area with litter barrel. Whirlpool Canyon rest area. Limited turn around area. Camping, Short trail leads to Canyon. Parking area, view of Cranberry Rapids on the Liard River. Allen’s Lookout; large parking area with picnic tables, toilets. Contact Creek Rest area. Grayling and Dolly Varden. Sign about U.S. Army Engineers, some working southward, others northward, met here on September 24, 1942, marking completion of the highway. BC/Yukon Border, First Crossing. From here to official border crossing, highway crosses border 7 times. Hyland River, parking at north end of bridge. Fishing. Lower Post, First Nations Village. Parking with point of interest signs. Rest Stop, toilets. Welcome to the Yukon sign. 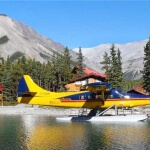 Access to Liard Canyon Recreation Site and Lucky Lake. Picnic area, waterslide, swimming, hiking and fishing. Watson Lake The first Yukon community encountered by the northbound traveler and the second largest town in the Yukon. It is a comfortable day’s drive from Fort Nelson or Whitehorse. Watson Lake is a popular stopover point, it has several hotels, campgrounds, service centers and a heated swimming pool that is open in the summer. Junction with the Campbell Highway, which accesses the towns of Ross River and Faro. The Highway is 583km/362 miles and ends at the Klondike Highway, at Carmacks.